With the threat of Typhoon Muifa largely behind us, Orion II sails blissfully among the stunning, otherworldy basaltic outcrops of Coron, part of the northern Palawan region of the Philippines. 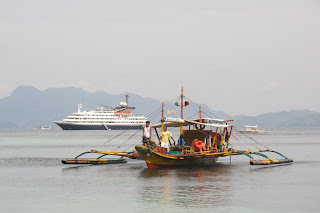 There's considerable excitement on board as this is the first time an international cruise vessel has visited Coron in recent memory and the local Tagbanua people are preparing to greet us. 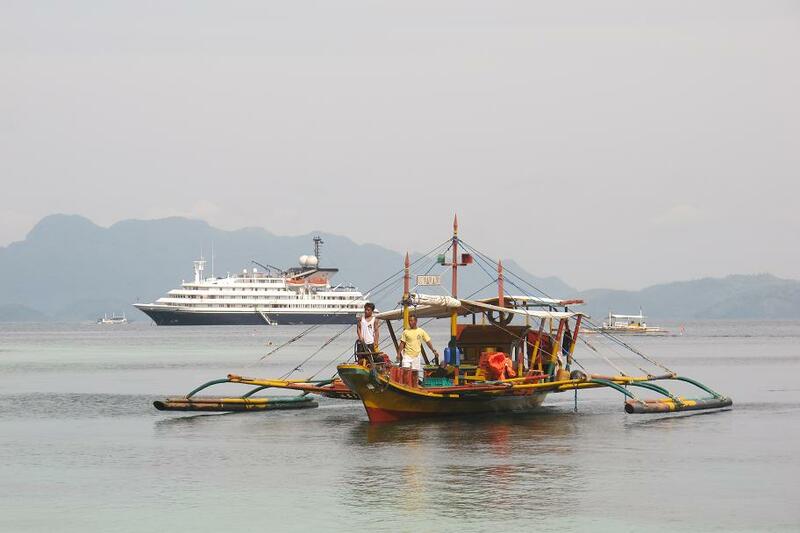 Coron is a perfect venue for expedition cruising. It's way too small to accommodate large cruise ships, there's little in the way of formal infrastructure and the local 'council' are protective of their semi-autonomous status and scant resources. The Coron Island Ancestral Domain is ruled by HM Tribal Chieftain Rodolfo Aguilar I, assisted by his Council of Elders, hence we are being feted by royalty. 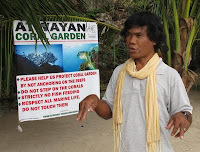 The 'king' of Coron greets us in work shorts, polo shirt and bare feet. He says a prayer and welcomes us on a private beach which Orion expedition chief, Justin Friend, confesses he acquired for 'chicken feed'. A stark contrast to the horse-trading that took place under the iron grip of Sergey in the Russian Far East. His Majesty's junior councillors have excelled themselves with our organisation. Not only do we have this secluded strip of sand and its waters to ourselves, we are treated to a cliff-climbing demonstration as barefooted lads scale the razor-sharp sheer basalt cliffs. Why, you might ask? Well, fishing, as you would expect, comprises the bulk of Coron industry, but there is another source of wealth that fetches far more. Swift nests have been used in Chinese cuisine for hundreds of years and a kilo of saliva that forms the little birds' nests can be worth up to $10,000 per kilo. The king, therefore, is mindful of potential disturbance to his delicate resource. If the birds are scared away by hordes of noisy tourists and huge cruise ships, he'd quickly be a former monarch. 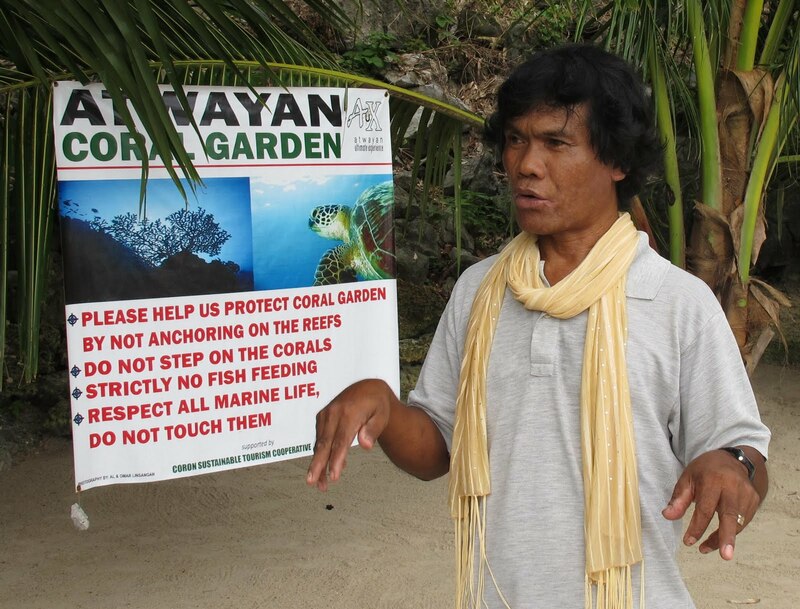 Coron's other tourism resource is less obvious. During the closing stages of WWII, a small fleet of Japanese auxiliary vessels was surprised by Allied aircraft and sunk at their moorings in 20 to 50 metres of water. 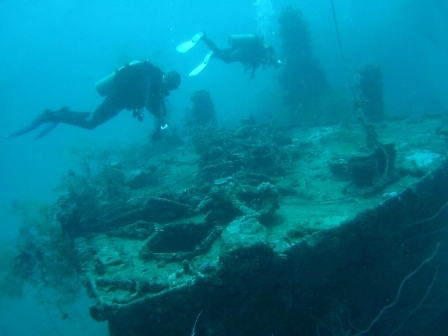 Although most of their valuable cargo and fittings were salvaged post-war, the hulks of these vessels have provided colourful artificial reefs now alive with marine animals of all types. On my dive, despite poor visibility from recent storms, we were able to see stone fish, lion fish, scorpion fish, clown fish, barracuda and scores of others whose names I've never learned. Divers come from all over the world to dive these famous wrecks and dive shops line the shopping strip downtown. This is early days for well-organised expedition cruising in these waters and so far, I like what I see. Typhoons aside, the water is gloriously clear and warm and enough is happening in town to suit low impact travellers. There's no sprawling resorts, menacing touts or seedy underbelly that I could see. With smaller vessels (ie around 100 pax) on infrequent itineraries, this region should be on everyone's adventure list.